Pause Menopause are an entrusted team of registered specialists, doctors, naturopaths that have collaborated to provide for you the most suitable treatment program to relief your menopause symptoms. 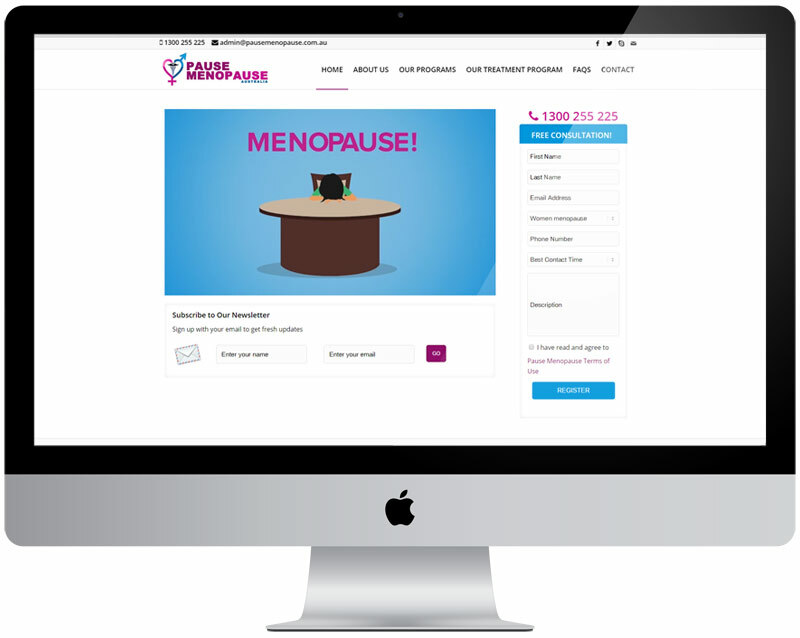 We developed a unique WordPress template allowing Pause Menopause to display general information about menopause and keep with the styling of the company. It has a graphical loading screen allowing the best possible user experience whilst browsing the site on mobile and desktop devices.